Stylish metal strip ceiling specially crafted for today’s performance demanding and fashion conscious designer. 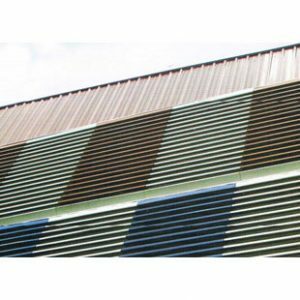 Metal Roof SystemBest Quality Metal Roofing Sheets In Malaysia Metal roof sheets are tough, durable and lightweight, and they can last for a long time. Metal roofing sheets can withstand wind and rain, ensuring that its residents are sheltered. Additionally, with proper installation, metal roofing requires very minimal maintenance. Metal roofing sheets, when paired with good insulations, can keep a building feeling cool for the whole day. Besides, they can be cut into sizes based on preferences. Metal roofing sheets are environmental friendly – they can be recycled after a few decades of using them. Contact us now to get it installed! Tile Roof SystemRoof Tiles System In Malaysia Roof tiles are popular choices for roof covering in Malaysia. Roof tiles can withstand harsh weather, and they are able to last for 50 to 100 years depending on the type of roof tiles used. The 2 major types of roof tiles that Roofseal Malaysia has are clay tiles and concrete tiles. Clay tiles are lighter and durable, but concrete tiles come in more design varieties and cost cheaper. Shingles Roof SystemRoof Shingles System In Malaysia Asphalt roof shingles are easier to install and they are also one of the most affordable types of roofing material used for residential and commercial buildings in Malaysia. Most house structures are able to handle roof shingles without the worry of it being too heavy. Asphalt roof shingles come in various colours and designs, allowing your house exterior to look more vibrant. Roofseal’s roof shingles in Malaysia comes in a 20 to 30-years warranty. GlasswoolGlass Wool Insulation Supplier In Malaysia There are a few types of material that offer great insulation for your home, such as the popular glass wool insulation. Glass wool insulation is an effective barrier to heat flow, which tends to keep the house at a temperature that’s just right, day and night. Its resistance to heat flow allows you to save costs due to a home that’s energy efficient. Besides acting as a good insulator, glass wool insulation is easy to install as well, with minimum maintenance needed. RockwoolRockwool Insulation Supplier In Malaysia Roofseal is a trusted rockwool supplier and stock keeper in Malaysia. Rockwool is not only a good heat insulator, but its water-resistant and fire-resistant characteristics make it a good roof insulator as well. If you are looking for a rockwool supplier in Malaysia, be sure to give us a call as we offer the best in product quality and service for all your roof insulation needs. 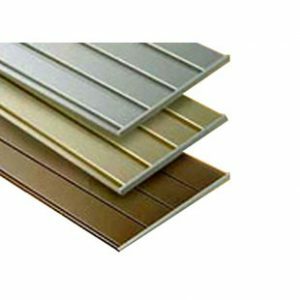 Radiant Barrier / Aluminium FoilAluminium Foil Insulation Supplier In Malaysia The heat-reflecting aluminium foil insulation is a popular choice among our clients here at Roofseal. The aluminium foil insulation reflects up to 97% of heat in the direction of its source and its reflectivity is maintained even after years of usage. External heat cannot enter the house, which increases energy efficiency. Heat is not transmitted from the outside to the inside, therefore less energy is generated by the air-conditioning system to cool down the house. Aluminium foil insulation is also lightweight and malleable, hence its position under the roof will not exert pressure on the structure of the house. Gutter SystemRain Gutter Systems In Malaysia Raining occurs frequently in Malaysia because of its tropical climate. The rainwater flows from the roof to the rain gutter, which diverts the rain to the drain below your house. Only a well-designed rain gutter that is rightly installed in Malaysia is rightly installed is able to allow a correct flow of water to the drainage system. 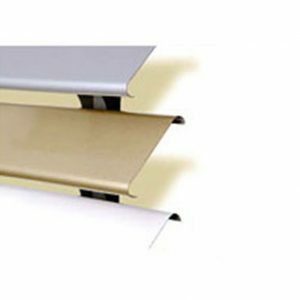 As a renowned roof solutions supplier in Malaysia, Roofseal offers affordable metal and UPVC rain gutter that suit your needs to keep you high and dry on stormy weathers.